Plymothian Transit: The Dog is Dead. difficult for them I have to say it was a surprise at how sudden it all happened. It was too late to put much of a post together especially as there was no official information at that time at all. It was this morning before news started to appear elsewhere as drivers turned up for work and passengers turned out for buses which were not going to appear. This afternoon, following agreement with Cornwall Council to step in, we (First Kernow) can confirm we anticipate we’ll run some form of replacement bus service from Monday, following the cessation of Western Greyhound’s services today. We are currently working on driver duties, schedules and timetables and we are sure you will appreciate this takes time. As well as working on these they also need to have them approved by the Regulators and Cornwall Council before we can publish and implement. Again this takes time. There may be some minor amends to services/timetables so we ask all passengers to check the timetables closely. Please keep checking our Facebook and Twitter feeds for updates. As was said elsewhere on another bus company's failure, the councils have their contingency plans. Cornwall appears to have been able to take something off the shelf and offer it around the local industry and by the end of the day come up with a plan for Monday. The companies no doubt had their own ideas. That's a job well prepared. I had worked out that Stagecoach operating the 584/595 out of Bude was not unreasonable with empty running down the A39 and Go Cornwall running certainly to Bodmin as CityBus has done before as the 78. Coupling that with the Padstow run makes sense. That's the emergency plan. It will be interesting to see what evolves over the summer, including day tickets - will Ride Cornwall gain Stagecoach and Go Cornwall routes or just be a First group product? Half joking, will we get a Stagecoach 6B from Wadebridge to Exeter? Yep, CC was (quite rightly) ready for it, as no doubt, were First, Stagecoach and PCB. The longer-term question is whether CC is as prepared for future tender rates to start creeping up now that much of the county has only one major player. And this is the same Cornwall Council that is having to make £190million cuts across the board, because of Government imposed austerity measures. It's not looking promising for many of the rural communities that Western Greyhound have kept on the network over recent years. The rural communities, as it were, can rue the loss of Western Greyhound. Replacement operators will not be as benevolent but that's a problem for the council to resolve. You get what you pay for. Yes WG had its problems but they did manage to grow the market and develop a network to the extent that it became a major player. It was only when the service delivery issues came to a head last year that First decided to do something about protecting their corner. Noticing what First have just done in Somerset makes for interesting reading - pulling the plug on routes that are barely bedded in (it takes 18 months to start and build a new service on a day when you don't run normally) demonstrates an interesting lack of understanding from people alleged to be experienced at running buses and it is a pointer to what might happen in Cornwall now they've got their monopoly. Monopolies are generally bad for the customer, they lead to sky high fares and a complacent attitude to service planning. All very theoretical. Here in real world it doesn't always take 18 months to know that a route is simply not going to work. Any business has to deploy its assets to their best effect for the maximum return and there are numerous reasons why First might have made the BOS changes, for example diverting resources to the new EDF contract, acknowledging the fact that Webberbus hasn't gone away and indeed, perceiving that perhaps switching some focus from Somerset to Cornwall may have better potential (all the more so with the subsequent news that WG has folded). Sometimes a business has to move swiftly and to some of us, that might be seen as using their experience rather than a 'lack of understanding'. Monopolies don't automatically lead to 'sky high fares' (or complacency, come to that) but rather they lead to fares being pitched at the level that an operator can (for want of a better term) get away with. Too high and you drive people away; too low and you're not generating sufficient return for profit and fleet renewal etc. A monopoly ia rarely ideal but throughout the UK it's been shown that there's been very, very, very few places where on the road competition has been able to last for any amount of time, the market within individual routes simply isn't big enough. The alternative is a hugely expensive fully tendered or franchise arrangement where the industry becomes a political football and service planning passes from the industry experts to local councils renowned for their social engineering, political correctness and pet projects. Not sure even the good folk of the North east can afford (or deserve) that. The Buses of Somerset changes are interesting as they are substantial and complex and will need study. There are pressures from subsidy reduction from Devon and Somerset, traffic congestion generally, the service increases to counter Webberbus that run empty and peak hour utilizsation (thus PVR). Some of the new is staying at the expensive of the traditional and incorporating new housing. They have given Webberbus the A39 road from Cannington to Watchet - it will never make great money. This is intelligent work whether it works or not; if making money was easy everyone would be rich. Monopolies in general are unhelpful. However at the local level they are inevitable in many situations; one school, one post office, one church, one pub,.. whatever. Big towns may look different, but are they really? Bus routes are usually monopolies even if the town has more than one operator. Competition may be at the regional or national level. London gave up on road competition in horse bus days 1855 and bought in the French to help set up what became the LGOC. My comments don't come from a theoretical world, I'm someone working in the bus industry, like yourself. I have lived in and worked for operators where they enjoy a monopoly and I have also lived in areas where operators compete for their customers, with other operators. Operators who contest their corridors have to work harder for their customers because if they provide a poor quality service, another company will come and take the customers away from you. I can think of areas where operators compete on service frequency and on fares, both remain attractive and areas where the very same operator enjoys a monopoly - they ensure the council subsidise their loss making services, run a less frequent service and charge higher fares because they don't have another operator there to run the routes instead. Monopolies in the bus industry have been proved to be a bad thing. Properly contested competition, on the other hand, grows the market because both operators have to raise their game, and innovate to win customers. It generates bus passenger journeys and makes buses better for everyone to use. One can agree that monopolies are a bad thing in any industry with some of the results you suggest. However at the local level monopolies are normal in many fields. In the bus industry few roads have enough passengers to make competition work. It is at the edges and contracts where change occurs. In the commercial market place, it should be dominated by a few big players and minnows filling the cracks. The old style middle sized companies only exist in a regulated (contract) world. Businesses reflect the wealth of their customers - Cornwall residents are not wealthy. A spokesman for the Traffic Commissioner said: "I can now confirm that the company (Western Greyhound) has been called to a public inquiry before the Traffic Commissioner for the West of England. This will take place on 23 and 24 March, commencing at 10:30am on the first day. 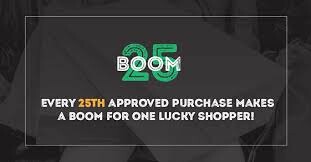 This was issued on Friday a few hours after they ceased trading for lack of cash (to pay the whole of the annual insurance as they couldn't get monthly payments). Really good to see that replacment plans for wg services are in place for tomorrow. Interested to see the new 75 service provided by Plymouth citybus (believe me many people will be grateful to see a service). I do have a few concerns about the reliability of the new service due to its route. A) the time between stops especially from bodmin parkway into town (would have allowed at least 12-15mins), B) the new route goes through the most conjested roads in Bodmin (anyone who knows dennison road will know the issues) but the biggest issue is the coordination with train times (pretty much missing/tight connection times) for the late afternoon/evening trains from both directions. Suggestion that a 35m past the hour would be more appropriate to ensure better transport connection. Some minor route/timing tweaks would make all the difference and ensure passenger numbers. Whilst PCB may be grateful for your informed suggestions I think all the operators have done an amazing job of turning out revised timetables, extra buses and extra staff ( I guess managers will be out from behind desks for a few days), with very little notice. No doubt FDC were already well advanced with their plans as they would have assumed WGL would go to the wall in December. Expect PCB to put revised timetables out after a bedding in period as I suspect will the other operators. WGL's timetables were notoriously impossible to keep to, hence some immediate revisions. Each of the operators gets a slagging at times on this blog, sometimes well deserved, but I think in this case a massive behind the scenes operation has taken place across this weekend, and I wonder how many other industries would have responded so quickly and so positively. Well done! I agree with Anon @17:42. The last thing Cornwall needs is wasteful on-road competition between operators. First has not got the monopoly - its greatest competitor is still out there - the private car. As regards WG's problems, these started long before the fire and the tender losses. First do have a monopoly now on public transport in Cornwall just like before WG and look how terrible that was. On the positive side, First taking some of WG's second hand cheapy buses still represents a fleet upgrade for First...which says it all really! Thank god in Devon we have Stagecoach...never thought I'd say that! Not sure I can quite agree with the first bit. It's been a long time since First ran everything, after all WG had been there for the last 15 years as a reasonably sized operation in expansion mode. There was also Truronian. I admit that that the fact that First runs the trains as well as the buses isn't ideal. That said, there is now an increasing and very real threat to First on the eastern side of the county where two very strong players (Citybus and Stagecoach) are edging westwards. That will help to keep tender prices down in the east and should ensure that First keep their eye on the ball in mid-Cornwall. If First starts cutting again or a suitable volume of tenders come up, it wouldn't take much imagination to see either start to look at an outstation elsewhere in the county if sufficient work can be found to make it viable.... especially in a few years time when the Truro P&R and Falmouth Uni contracts come up again, which will be a good test for First. So whilst they might have some breathing space for now with the demise of WG, they will have to keep the momentum up and play a good game. If complacency starts creeping in again, it may open the door for one of Citybus or Stagecoach to make a bigger mark and, of course, either would be a more serious long term threat than WG ever was, simply because of their big group resources. Anon @0727 You seem to assume that First in Cornwall is the same as it was 10-15 years ago. That completely ignores the fundamental change in management that has taken place at both a national and local level. And I don't see how 52 plate Darts count as a fleet upgrade for a company that has a fleet of 12 plate E400s. As for the monopoly assertion, it hasn't got a monopoly end of. It hasn't got a monopoly but it is now back as being the main player in Cornwall after many years of being on the back foot and cutting back. The 52 plate Darts is an upgrade for the fleet though as the 12 Reg buses are for specific duties. The majority of the Kernow fleet is quite a bit older so the 52 plates are quite new. I agree about the management though as being a fundamental change. I just hope they stick with it. We have seen this before when good managers come in and then get moved on taking their good ideas with them. Have WG operations in Southampton collapsed, too? If so, Mr. Bishop must be looking around for something to do. Perhaps the purpose of the PI still going ahead is to determine whether a similar sanctions as that applied to Tony Hazell (Carmel) might be appropriate. 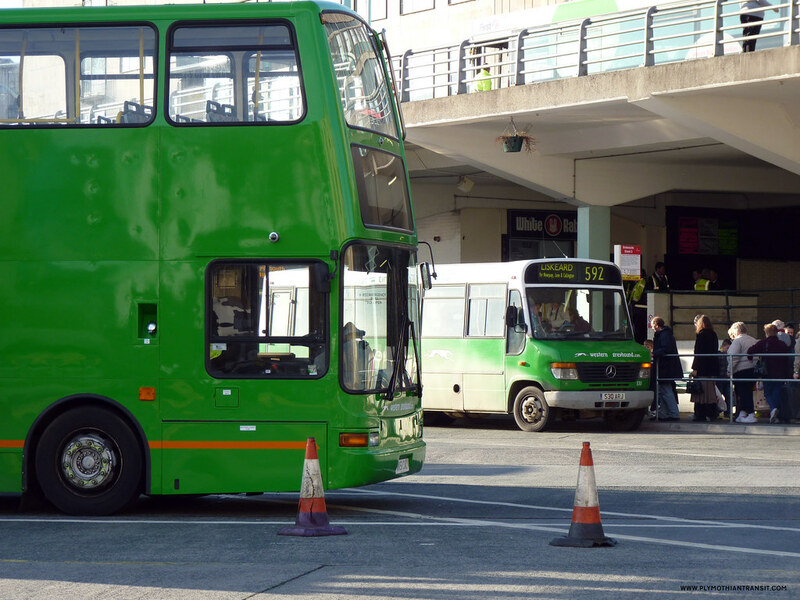 The Southampton operations were sold a short while ago to Excelabus. Some of the Velvet fleet ending up in Cornwall. The call up for the PI may well have come before they went bust, but will still go ahead even if the company is no longer trading. As you say it could judge the personnel involved as losing their repute and potentially ban them from operating elsewhere. Yes, Yes and possibly. Southampton transferred to Xelabus from Velvet without WG ever really being involved. I haven't seen the terms of the PI, but it will go ahead for that sort of reason. You're missing the point. They'll run whatever they can that makes a suitable profit, either commercially or with Council tender money. Bus operators cut back loss making routes because they exist to make a profit. That's the reason they won't cut back profitable routes. Given the team in place it's highly likely on past experience that they'll be willing to try new things out and to look more imaginatively at the business and how it can develop further. the fact is that First Kernow sorted its commercial routes and fares out over a year ago, and holds long contracts for a big slice of very well paid Cornwall Council work, for Truro College, the Eden Project, Uni, and the expanding Truro Park and Ride. It's understood that all are properly priced and working well. Now they have become the only operator on the mid Cornwall network, some of which they were competing with Western Greyhound on. Presumably they are being paid by Cornwall Council for a fair amount of that as well. Everything suggests that they have reached a very significant point in the recovery plan that they set out to deliver for First when they were drafted in - probably a point that no-one even in First in their wildest expectations thought they would achieve! 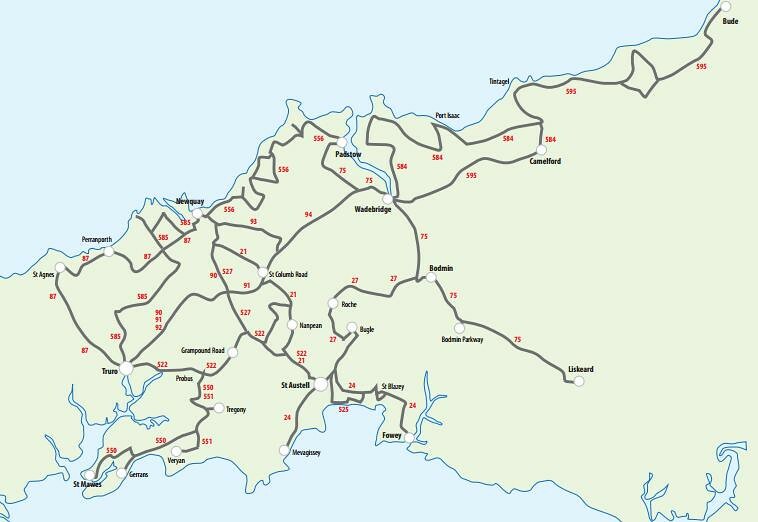 No doubt we will see changes to the network in mid-Cornwall, but these are more likely to be sensible rationalisations of the network as it was when Western Greyhound failed. I also expect that we will see extra initiatives introduced now that the business is in such a good place. I'm struggling a bit here with the "pattern". First introduced Plymouth services to compete with an ailing PCB but then the sale to GA came about - it was evident that they had the pockets for a long fight and hence First cut back. Webberbus came into First's territory and whilst First introduced a number of extras, they've elected to remove some (but only some of them) whilst waiting to see what WB do now. Meanwhile, First saw WG failing (could see that from space!) and decided to protect their business/kybosh WG and registered a number of new routes. These were largely Mon to Sat and paralleled WG but with their demise, there's no reason to withdraw them (e.g. the 21, 24, 27 et al). In fact, now they're likely to get some council funding for evening/Sunday so makes them MORE worthwhile doing. What will be interesting is whether Cornwall Council can afford to replace all of WG's tenders as, naturally, they were the lowest bidder on many and so the price HAS to increase. That much is obvious (and that's before anyone mentions First or PCB "abusing" some perceived monopoly). Another interesting point (building on what 19:27 says) is how much investment First will now put into Cornwall. An improving financial position and market share might enable some much needed fleet updating. Yes, the Enviros appeared from Plymouth, and there's been a few Solos and Solars but ageing Olympians and Darts/Solos will need replacing very soon. That said, I'm not anticipating rafts of new vehicles but some newer than mid life cascades would be welcome! I think Cornwall Council may be in for an expensive time before very long. Although WG were strong on tendered services, quite a few of their routes were commercial. The 76 is a good example; after First won the tender for the evening and Sunday services, WG put on a competing commercial Sunday service as a logical extension of their (very successful) commercial weekday operation. I believe that, when WG won the tender back again, it was only for the weekday evening journeys as the commercial sunday service was already in place. The 76 has now entered the over-bussed world of competition land - as from April, three buses an hour between Callington and Plymouth. However, once this is over, I suspect the Sunday service will be de-registered and therefore the subject of a tender. Similarly, I should not be surprised if some of First's services replacing WG are not deregistered and, therefore put out to tender - with no barrier on First winning them back again. The 78 brings some sort of service back to St. Dominick - but, as form April, Stoke Climsland loses its hourly direct connection to both Launceston and Plymouth and the 74 (574) will have some two-hour gaps in its current hourly service. St. Dominick lost its service so that First could play competition games with WG between Callington and Plymouth; now Stoke Climsland, Pensilva and St. Cleer must suffer so that Citybus can play competition games with First on the same route. Out of interest it was mentioned previously about a new route (possibly a long one!) from First being introduced in Plymouth in April, in response to Citybus going Mountbatten, any idea if/when this is going to happen, and if so where it will be headed ? Surely First have to respomd in some way?